"We go to this meet every December because all of these athletes have been training extremely hard since September, and this is a nice way to reward them for all of their hard work. The JDL meets are always run and managed extremely well, we are always looking for ways to provide different competition opportunities that these athletes would not normally have, and of course we hope for new personal bests." 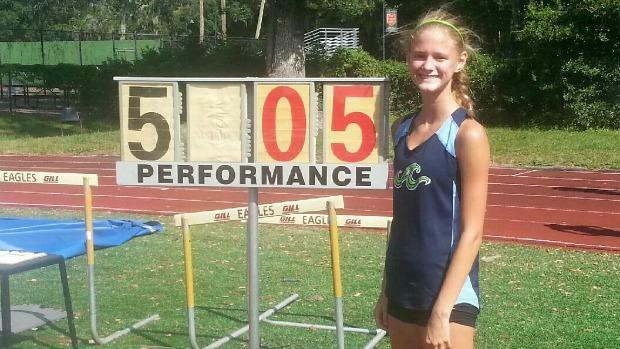 Laine Roberts: Last year's top middle school pole vaulter in the country is now a freshman at the Bolles School. Roberts broke the FLYRA Middle School State Championship meet record when she cleared 10'08", but set the bar even higher clearing a PR of 11'0.75" in July at the JAC Final Countdown. 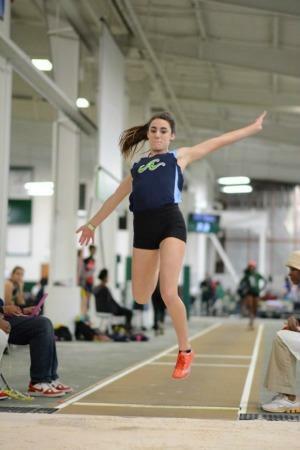 Caroline Johnston: The sophomore from Episcopal was ranked as the 3rd best freshman in the country for the heptathlon and will be competing in the 55mH, long jump, triple jump, and pole vault. She owns personal bests of 18'07.75" in the long jump, 33'08" in the triple jump, and 11'0 in the pole vault. Johnston was 3rd at the 1A state meet in the 100mH and 8th in the high jump. Abby Thorpe: Thorpe, a junior at Creekside High School, will compete in the high jump, long jump, and 55mH. In ten meets last season, she didn't finish lower than 6th in the high jump including a 5th place finish at the 3A state meet. Thorpe has the best high jump PR of the group, when she soared 5'06" to win the Friday Knight Invite. She has a personal best of 17'05" in the long jump which won her the district title, and will be giving the 55mH a try for the first time in her career. 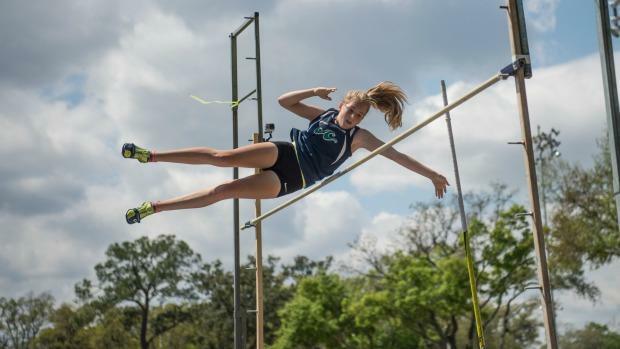 Madison Murray: Murray a sophomore at Providence School was the top freshman in Florida in the high jump with a clearance of 5'05" at the JAC Combined Events Championships in July. During the regular season, Murray was 5th at regionals and 5th at Flo Golden South. In addition to the high jump, she will also be competing in the long jump, and 55mH. Sunquist adds that the trip to North Carolina is also about exposing them to that next level atmosphere and environment. "All of our athletes have the goal of competing in college, so we want to familiarize them to competing indoors as well. Finally, it is nice for the athletes and their parents to visit some colleges while up in North Carolina!"